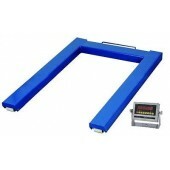 We have an extensive range of Pallet Scales available from stock. Our range consists of top quality pallet truck scales, industrial weighing scales, crane scales, platform scales and floor scales. 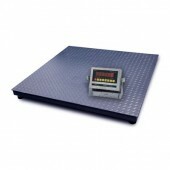 We can supply a range of Pallet Platform Scales with base sizes from 800mm x 800mm to 2000mm x 2000mm and weighing capacities from 500kg to 10000kg. A typical size for normal euro pallets are 1200mm x 1200mm capacity 3000kg x 1kg. We can supply in mild steel and stainless steel with various weight indicators and printers if required. We also supply EC Trade Approved sclaes and carry out ISO 9001:2015 Calibration Services and Certification. Additional ramps can also be purchased allowing for pallet truck use for which we always recommend a 1500mm x 1500mm base if loading by pallet truck. Please call our experienced sales team if you require any assistance. 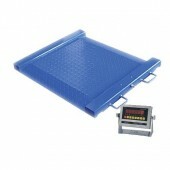 Pallet Scales There are 28 products. 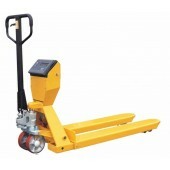 Pallet Truck Warehouse have an extensive range of Pallet Scales available from stock. Our range consists of top quality pallet truck scales, industrial weighing scales, crane scales, platform scales and floor scales. We can supply a range of Pallet Platform Scales with base sizes from 800mm x 800mm to 2000mm x 2000mm and weighing capacities from 500kg to 10000kg. A typical size for normal euro pallets are 1200mm x 1200mm capacity 3000kg x 1kg. We can supply in mild steel and stainless steel with various weight indicators and printers if required. We also supply EC Trade Approved sclaes and carry out ISO 9001:2015 Calibration Services and Certification. Additional ramps can also be purchased allowing for pallet truck use for which we always recommend a 1500mm x 1500mm base if loading by pallet truck. Please call our experienced sales team if you require any assistance. 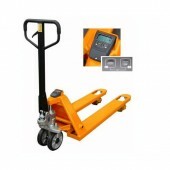 Pallet Truck Warehouse has a large range of portable pallet weighing scales. 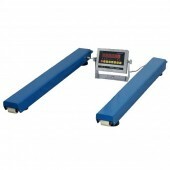 From U-Frame weighers and weigh beams with capacities from 1000kg to 5000kg from stock. 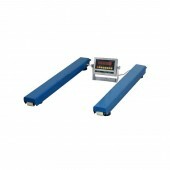 All equipment supplied have quality load cells and operate from normal 240V mains supply as standard with rechargeable battery operation enabling portability with the weighing machine being moved around to your work place requirements. Options include printers, weight indicator stands, mild steel or stainless steel fabrication and calibration certification when required. Please do call our experienced sales team to discuss and requirements you may have as we will be happy to assist.